How Do i Put a widget I use a lot in the favority section on the left? For example image slider and put esignature. 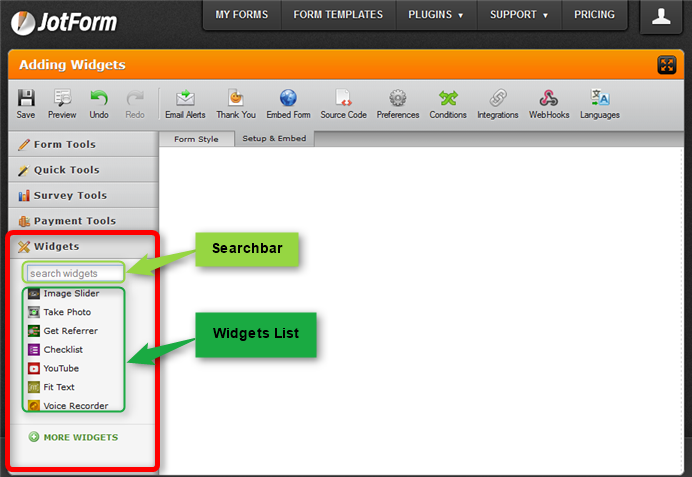 Unfortunately you cannot customize the preferrences of the form builder itself -- so there is no way to do that.